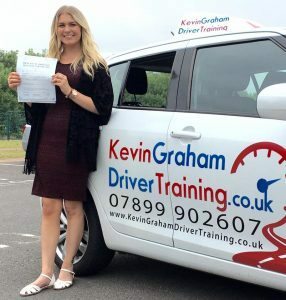 Learning how to drive is an exciting time and at Kevin Graham Driver Training we will show you how you could also save over £500 on passing your driving test. You want to get on the road and pass your driving test – no problem! 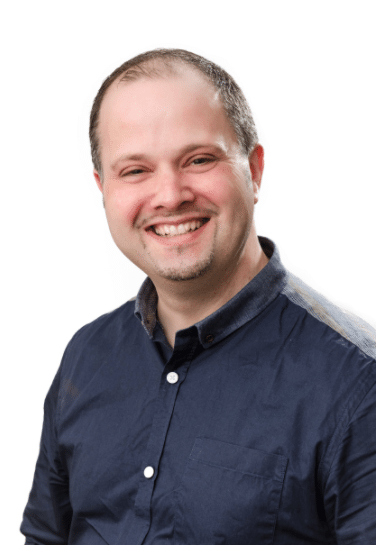 My name is Kevin, I have well over 15 years of experience teaching people like you to drive and have helped 100’s of people in the Carlisle area get their driving licence. What I can offer you today is not found with any other driving school in Carlisle, not only do I present to you my TRIPLE GUARANTEE but I also want to show you how you could save over £500 on passing your driving test. I’m committed to helping you become a safe driver, and the triple guarantee endorses that, but I’m also aware people do want great value for money and often search for cheap driving lessons in Carlisle. So rather than you saving £1 or £2 on a driving lesson, I think you may be more interested on how you could save over £500 on getting your driving licence. BE IN CONTROL OF YOUR CAR AT ALL TIMES When taking driving lessons in Carlisle you are going to need to be in control of the car at all times, It is what the examiner expects. HAZARD PERCEPTION Your driving examiner is going to expect you are capable of spotting hazards and staying clear from them. THE RIGHT ATTITUDE Top driving schools in Carlisle will encourage you to have the desire to be a safe driver, examiners want to see you demonstrate this. RESPECT THE HIGHWAY CODE All driving instructors in Carlisle should be giving you a copy of the Highway Code, examiners will be monitoring your understanding of it. There are many driving schools that you can choose from and of course we want you picking up the phone and giving us a call, we want your business so we set about thinking how can we add value into our service. We understand that driving schools look the same, and it is really hard to distinguish between a good and bad school. You might see the ugliest of cars and be put off, but the instructor could be world class…there is just no way for you to tell. Cheap driving lessons in Carlisle are not difficult to find, but there is a problem, they are not exactly cheap! Ok, so on the face of it you can do 5 hours for £98 as a starter package with one driving school in Carlisle and you will find schools that are £1 or £2 cheaper but whats that going to save you… a £100 or so? That’s nothing. I love teaching people how to drive and have been doing so for over 15 years and have many first-time test passes. Right now you are probably thinking what driving school in Carlisle you should choose, and considering there are lots of driving instructors in Carlisle it is still quite a difficult choice. I remember when I was taking driving lessons, we didn’t have Google or online review back then, it was all word of mouth or looking in the Yellow Pages. The questions going through my head at the time were all about finding the right instructor and making sure I wasn’t going to get ripped off. I couldn’t tell the difference between a good driving school and a bad one…nothing has changed, and today you have the same problem. To help you make the right decision I want to offer you my triple guarantee. The first part of the guarantee is the money back guarantee, I want you to be able to choose my driving school in Carlisle with supreme confidence, so if you do not like your lesson I will refund you. The second part of the guarantee is I promise you will pass the first time, and if you don’t I will cover the cost of your next driving test. At the end of the day, you are here to get your driving licence and while it is your responsibility, you are also my customer. I know our services are the best you can find and it’s my way of proving that to you. The final part of the guarantee is the driving licence warranty. When you pass your test you are on probation for 2 years, if you rack up 6 points on your licence you have to take your test again. So to that effect, I am offering you free refresher lessons. Yiu want to be a safe driver, and from time to time we all make mistakes, but I want to make sure if you invest your time with my driving school in Carlisle you can feel assured I’m here to look after you. Some people have asked if they can use their free refresher lessons once they get their new car, and the answer is yes you can. In fact, it’s a great idea! Despite you passing your test and being a good safe driver, you are a novice and even experienced drivers can have issues changing cars. It’s quite likely your new car will not be the same we use for driving lessons in Carlisle, and with me by your side when you first start to drive your new car it will give you a lot of reassurance. Lot’s of people will say the examiner wants to make sure you are a safe driver, and that is the right answer, well done. But what does it take to be safe? They are the points we will be covering on your first lesson and every lesson after it. Learning to drive isn’t really hard, but what isn’t straight forward is how to be a safe driver. When you leave or driving school in Carlisle you will have passed your test and equipped with some really good skills. Once you are out on the open road driving by yourself you need to be alert at all times, no qualified person is going to be sat next to you pointing out hazards, or telling you what to do next, you have to do it all for yourself. Once you have got your licence and you are driving your own car, this is the time when you are more likely to have an accident. It’s newly qualified drivers who top the charts when it comes to road accidents and we desperately need you to avoid being a part of that statistic. This is why when you learn with us, you are going to get more than just driving lessons to help you pass your test, you will get a massive awareness of road safety. Sometimes people can think safe is boring, and I totally get that. I’m a bit of a thrill seeker myself, but you can have lot’s of fun driving when driving safe and you will feel good about it as well. To get started all you need to do is pick up the phone and give me a call. You have been thinking for quite some time about the prospect getting in a car and learning to drive so you can pass your driving test, and once you have your licence sorted you will have lots of opportunities fall your way. 1. Say no to the rain! Well, say no to getting wet waiting for a bus anyway. 2. YOu will get more social time because driving is quicker than public transport, no walks to the bus stop, no hanging around for the bus to arrive, and you don’t have to put up with people getting on and off. 3. Some jobs require you to have a driving licence. 4. You can further to find a job and that gives you a better chance of finding work. 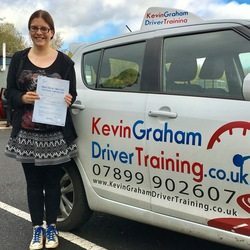 At Kevin Graham Driver Training we will do everything in our power to give you the skills you need to pass your driving test. As soon as you have your licence you will be able to benefit from those advantages and a whole lot more. All you need to do now is give us a quick call. Driving schools in Carlisle have been asking the DVSA to allow driving lessons on motorways for a very long time and in 2018 it’s going to be possible. You will be able to take motorway driving lessons in Carlisle before you have passed your driving test. It means we can start to fully train you to the high standards you need to be at. Previously a lot of newly qualified drivers dived onto the motorway without any tuition and when you consider the people most likely to have an accident are those who have recently passed their test, it could be dangerous. While it is going to be much better for you to take lessons on the motorway with a fully qualified driving instructor from Carlisle, there are a couple of points you need to consider. The first point is you can’t just do an hours lesson, you will need 2 hours at a minimum maybe even 3 hours to fully replicate motorway driving. Additionally, you need to also find a driving school in Carlisle who has been trained to teach you on a motorway, most instructors have never taught people to drive on 3 lanes of traffic and their personal training to be an instructor would not have covered it. Once you start taking driving lessons in Carlisle with Kevin Graham Driver Training we’ll get you to a standard where you are ready enough to drive on the motorway with our close supervision. You can find out more details by giving us a call right now.